It was a tumultuous day in the market Monday, even as the framework for a U.S./China trade deal appears to be coming together. Negotiations are in the “final stages” as the two sides plan a summit for the end of March at Mar-a-Lago, President Donald Trump’s Florida resort, sources told CNBC. If a deal is reached, the U.S. could roll back tariffs on at least $200 billion in Chinese goods while China could remove or cut industry-specific levies like those on autos. China’s National People’s Congress is also expected to pass a new foreign investment law that would change equity ownership rules, and potentially have language about state-owned enterprise subsidies and forced tech transfers. By the end of the day, the major averages cut their losses substantially, but still finished in the red. So what happened? Was it construction data spending that rose just 4.1% in 2018, the U.S. Census said Monday? Unfortunately, the annual bump in construction spending wasn’t enough to shield investors from the sharp decline of 0.6% in December 2018. Having said that, it’s doubtful that construction spending was what ailed the markets on Monday. After all, the Homebuilders ETF (XHB) was higher on the day. So what was it that proved to drag on markets Monday? 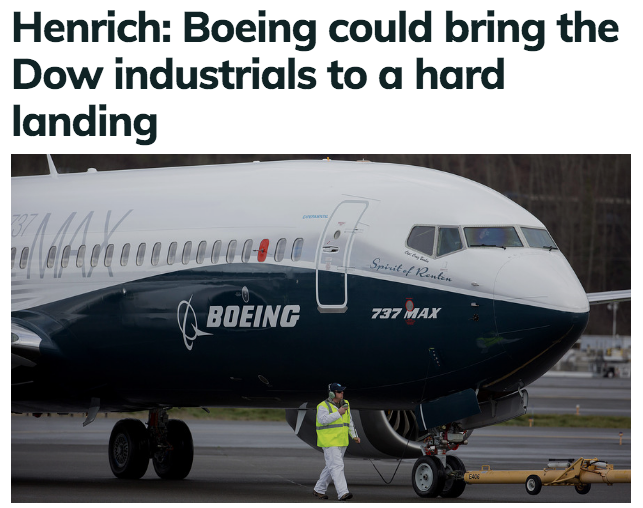 Two weeks ago, Finom Group (for whom I am employed) wrote the following to subscribers and it identified one of the main cogs in the 10-week market rally, Boeing (BA ). 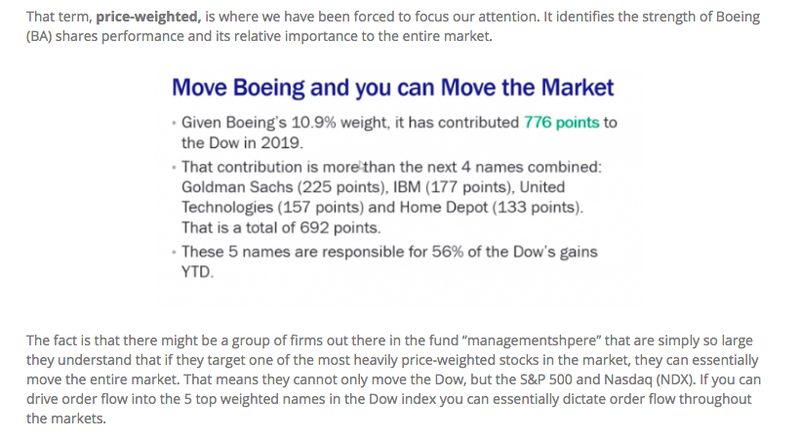 It’s one thing to suggest the media is coming around to the aforementioned understanding of 2019’s market driver being Boeing, but here is an article from Bespoke Investment Group that suggest very much what we’ve offered in the past. 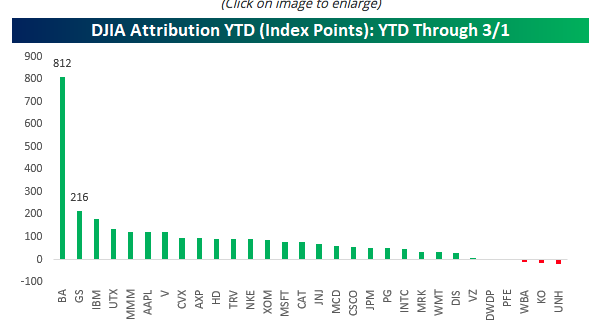 “With a gain of over 50% from its late 2018 low and a YTD gain of over 36% through last Friday’s close, it has been one of the strongest starts to a year (through 3/1) for a current DJIA component in decades.